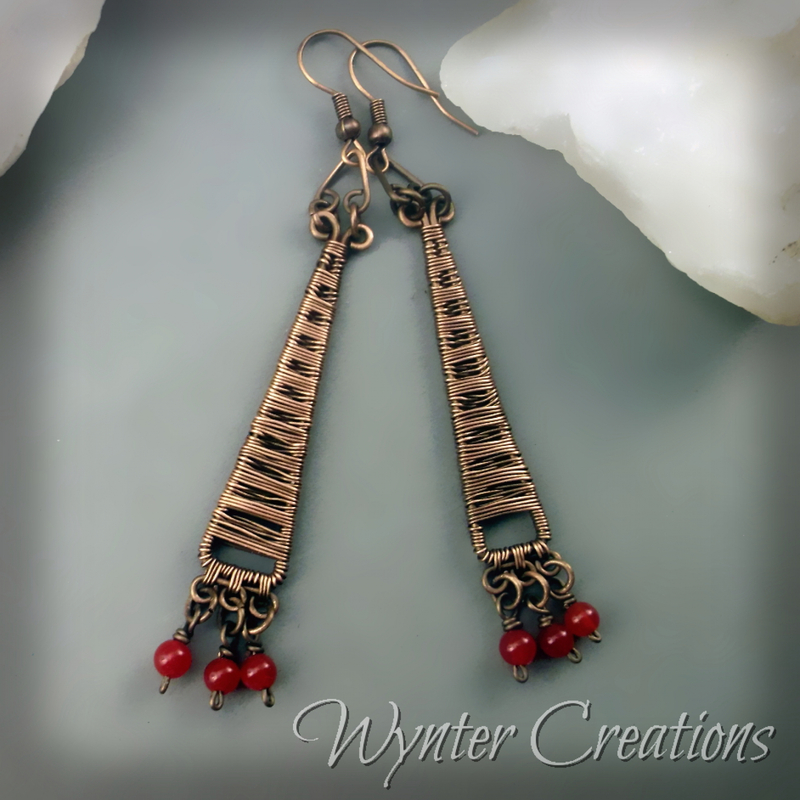 Learn to create a fun, funky pair of wire wrapped earrings with this tutorial from Wynter Creations! These instructions include a number of useful jewelry making skills, including basic wrapping and coiling, creating frames, and weaving with wire. This is an ideal project for the advanced beginner (someone who's had some wire work experience but would like to learn more), but is suitable for someone just starting out as well. With 17 pages and over 45 high-quality photos, the instructions follow the design from start to finish. 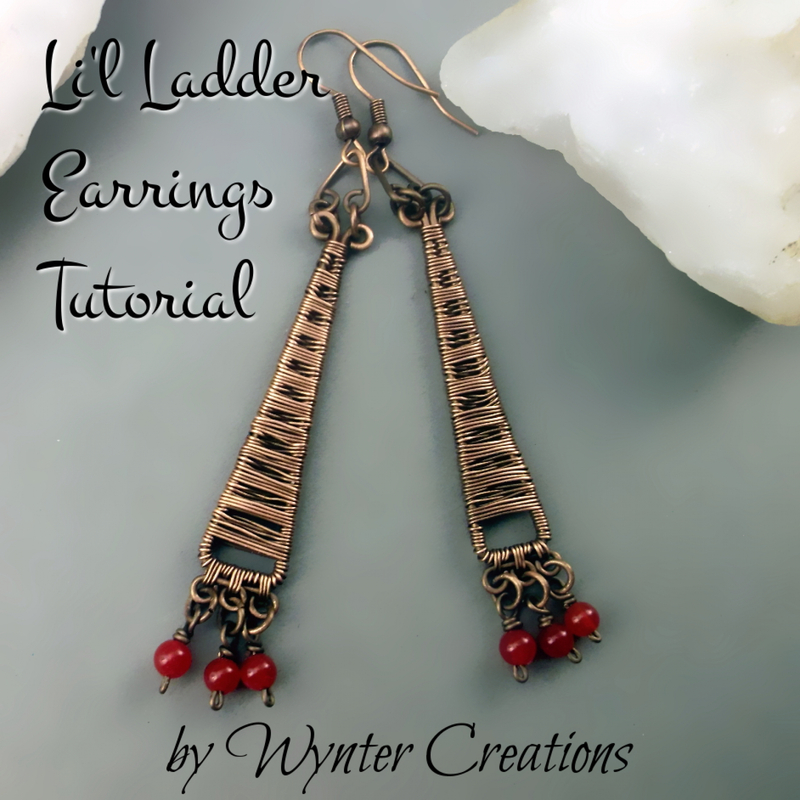 The instructions in this tutorial create one pair of earrings, approximately 6 cm long and 1 cm wide. Please note that this listing is for the tutorial ONLY and does not include supplies or the finished earrings. *Tutorials purchased from Wynter Creations or Anna Moore Roberts may be used to create items for sale, with proper design credit given wherever such item are displayed or sold.